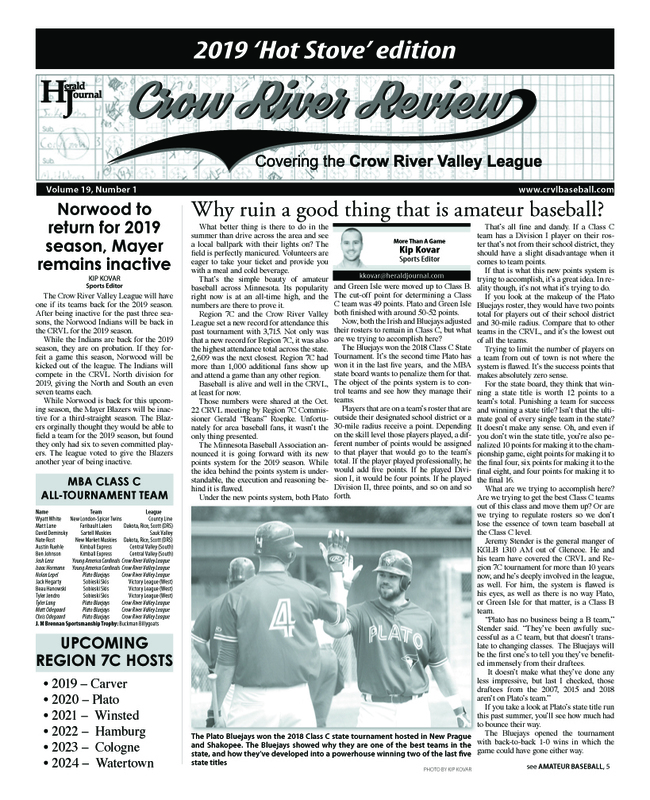 The fall meeting for the Crow River Valley League will be holding their fall meeting Monday, Oct. 23 at the King Pin in Plato at 7 p.m. The meeting will discuss and elect all the Team MVP’s and POY’s then vote on the League MVP and POY. 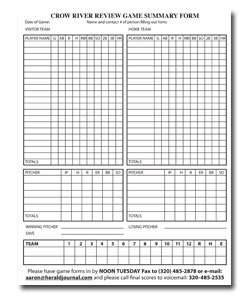 Also, please have your bar card money collected and ready to turn in, the League and Herald Journal receive $1.50 for every card sold, that means your clubs get to keep $8.50 for each card sold. There will be other things that we will be discussing as well, and they will be on the agenda to follow shortly.